This is an example of copper trees growing on a small particle of aluminum foil in an oil filled large transformer bushing. Electromotive substitution can occur where ever metal ions are mobile. 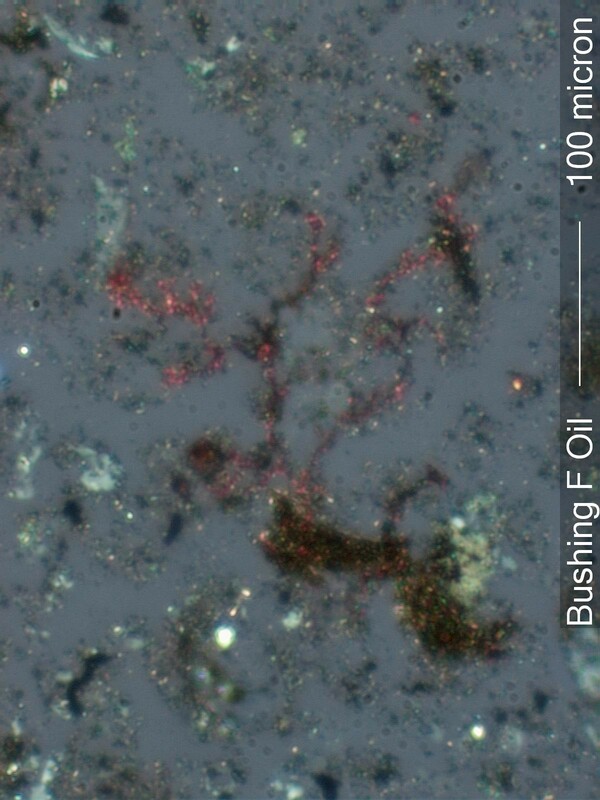 Copper trees will grow on a small fragment of aluminum in bushing oil when copper is taken into solution in the oil. Copper will plate the aluminum if only very low levels of copper are present. This indicates that the oil is corrosive to copper and that some of the copper compounds formed are soluble in the oil.